I'm joining in on Kate's 15 minutes linky party again this week to report back on my progress. You can join in too . Just pop on over and pay Kate a visit at Life in Pieces for all the details! I realised on Monday my holidays are half over and I haven't really done all that much in the sewing department so I decided to see if I could focus. And while not everything on my list from last week got ticked off I'm pretty happy with the results. Aside from finishing my Merry Go round quilt (thankyou so much for your comments about my quilt - I feel very humbled by your kind words ) I also started and finished some other projects this week. The zebra cushion became a pair . These are for Miss P who is positively potty about zebra anything. The Christmas bunting is done . This would have been far more newsworthy if I had pulled off a finish BEFORE Christmas but I'm telling myself the late finish means I'm amazingly organised for Christmas 2012. I'll be pulling out that old chestnut again when I finally finish my Flurry quilt. You know how I said I was going to try to take more interesting photographs this year . Above was one of my attempts. A photographer I am not. Bunting is incredibly hard to photograph. Four more rainbow scrap blocks got added to the pile. I came to the realisation that The Love Heart Applique quilt was NEVER going to be a quilt so I started making it into a cushion instead. It's backed in white chenille (have I mentioned lately how much I love chenille ?) so it's perfect for snuggling up to . It's a gift for a friend so I'm valiantly trying not to get too attached to it. And I cut hexies for a rainbow scrap cushion I'm going to start this week. Im loving playing with my scraps. Colour makes me happy. I miss read this "Pay some attention to my hourglass blocks" as "Pay some attention to my hourglass figure" LOL. Those are good finishes....love the rainbow blocks! The bunting makes me think of bikinis hanging on the line. You are such a busy bee!! You've managed to get heaps done!! And all wonderful fun things! I like your bunting photo, it's such a weird angle. Those scrap blocks are really fabulous!! I'd just leave the bunting hanging - it'll come into season eventually. Good luck with Little P. Mine didn't do the terrible twos but have perfected a lifetime of whinging instead of a short period of tantrums!! OK you clever thing now it's a cushion specialist you're turning into! I'm sure Miss P will love the zebra cushions but I love the heart one the best. Very nice indeed. PS. Those lovely bright scrappy blocks are going to make a lovely quilt- bright and vibrant like the hexie one. Love it all...the pillows are the best, though. Good luck with the terrible two's! Thankfully my mind blocks all unpleasant memories, I don't remember too much from when my kids were two. How's the potty training? Nice cushions. LOVE your rainbow blocks! Given how quick christmas came around last year I think now is probably the time to be getting anything made that we need for this year. I love those rainbow blocks. They will make a fab quilt. Good goals for crafting, love the heart pillow and scrappy blocks, and hope you survive Little P's time at your place! wonderful pics. I saw the buntings and thought you had made bikini tops for yourself. 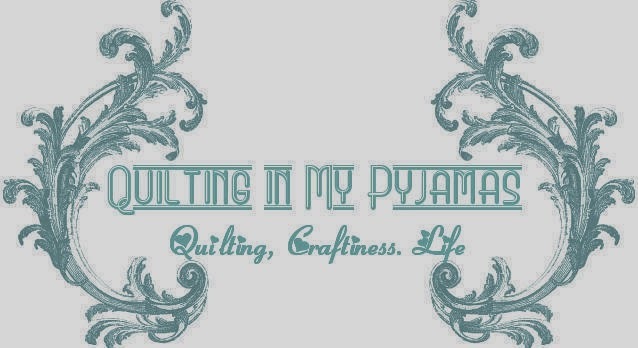 I've been away too long, loving all the previous blogs and the comments on the quilt. All the photos are "happy" fabrics. LOVE your rainbow scrap blocks and I thought the bunting picture was fun! Very impressed that you have 3 things listed on your "Stuff I made in 2012" sidebar - wow! You've been busy again. Not a bad few days worth of work. Love the heart cushion and I detect some hand sewing detail on it too, wow! Finishing your bunting now is brilliant, one less thing to do when Christmas is here again in another five minutes! Those smaller finishes are just so rewarding! And yours are fantastic! Scraps are so much fun! I'm trying so hard not to start anything new..., except ..., er the baby quilt that needs to be done by April. Yes! More pretty stuff to look at. (I love your bloggy eye candy!) Hope this week is equally amazing for you. PS Gosh you're good when you focus! well, you didn't do too badly yourself and i LOVE the heart pillow~! so busy already - not much sewing??? Everything look wonderful but I am going to look for more posts on those "roadkill rescue footstools". Yes, and I also misread the hourglass blocks as figure.... must have been the bikini buntings! Very pretty heart cushion! I can see how you'd get attached. Love the zebra pillows. Trama Teen has a thing for animal prints as well, though she's more into the tiger stripes and jaguar prints. She got flannel jaguar print sheets for her birthday (it's been cold here). Love the banner and your rainbow scrap blocks. Looks like you did really well this week. Can't wait to see your hexie cushion. With all those brights, it will be fun and gorgeous I'm sure. I rather like that bunting photo. I love the rainbow squares! I would love to start one, but I need th finish my wonky one first. You go girl with that jump start on next Christmas! The bunting pic is quite artistic. I agree with Sara; might just as well get started with our Christmas projects now. I love the heart and zebra cushions. Nice week! and the rainbow scrap blocks are really pretty too! Another productive week I see you are getting lots done during your time off. I LoVE your scappy rainbow blocks. That is going to be a really great quilt when you're finished! Those zebra pillows are awesome! I mean, really awesome! Hooray for being super on top of things for next Christmas. That bunting is adorable. I love the Heart Applique pillow! It is completely adorable. And finally, I can't wait to see your hexies. Whew. I'm exhausted just from reading about everything you're up to! You are amazing. Those bright blocks are perfect. Enjoy making the scrappy hexie cushion. Glad to hear Little P is making 'normal' progress. Love the rainbow scrap blocks and the cushion. Color makes me happy as well.